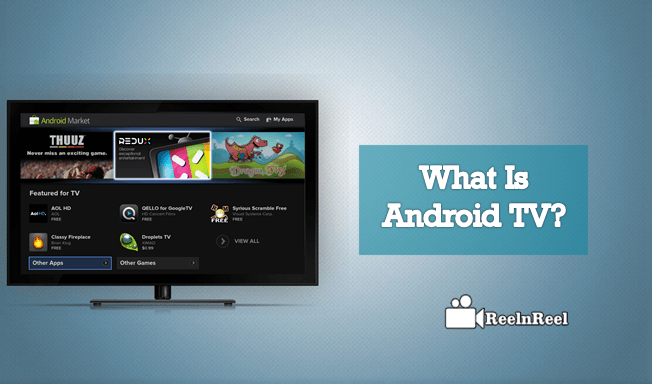 Home » Video Marketing » What is Android TV? Android TV has become the new buzz across the web after closing Google TV. Yes, there is right sort of reason behind the shutdown of Google TV. The main thing is its lack of applications, and it does not have access to play store. When comes to Android TV, It is entirely different from the Google TV. An Android TV can able to access the Google Play Store. The mobile developers can apply the modifications to making the Android App. It also has Google cast support and is optimized for the big screen. Let us go through deeper into Android TV. What exactly is Android TV? How did an Android TV box work? The Android TV box is just like a TV setup box that is connected to a television. • Android TV is specially designed to enjoy the TV on your Phone. It is all about the easiness in navigating across the apps. • There is no draw over phone calls through TV. It is also easy to access the applications, entertainment with simple interactions. Android TV is nothing but the Smart television. • You can feel your TV just like a mobile in your hands. • The Android TV offer controls over the voice across other devices just like in Android devices. • It is similar to the card-based interface, and the developers will get an opportunity to adapt with the apps on big screen. • It promotes the quick customization of the television content which suits best. • Even the TV manufacturers also have a different advantage. • They does not need to develop their app or app store as it has access to the Google play store. It also keeps the Android on the big screen. • The Android TV boxes are the most popular thing that allows the users to receive a wide range advantages like accessing the internet to stream the videos to your TV. • These boxes will turn your TV into smart devices. It possess a broad range of options to the users. • People utilize the services for streaming the TV shows and movies from different streaming sites. • Android TV organizes the content on one platform for a better organization which is included with the search and search functionality. • The Android TV is just like a media hub that user can access the content over the web from their ideal platform. • The main difference between the Android TV and the regular TV box is the operating system. • Android TV is a particular version, and it is powered by the Android Operating System. However, still some applications will not run without the rooting device. • The apps are designed to run on television instead of touch screen. • It can be setup with an Ethernet cable or a wifi connection. • Once the box is getting connected with the TV and internet connectivity, the apps will get installed. • Android is an operating system which is just similar to windows etc. You see such type of system in mobile phones. • They run by RAM processors which make the devices portable by using the same hardware system. • The Android Operating system is an open source and is free of cost. • The hardware is also cheaper in cost. It is installed in the small box to run the same hardware that can provide the better input as well as the output options. • The primary function of the Android box is to stream the video content to the users and allow them to access their favorite TV shows and movies. Users can treat it just like their standard computer machine. • The Android TV boxes are available in all shapes, sizes at different prices. Low-cost budget boxes are already available in the market. • Every box will come up with own setup and manufactures modify the android codes to fit with the machines. • Different types of remote controls can be used for the Android TV box that delivers the best user experience. • They are available in various sizes and shapes. • Users can select the most comfortable remote for their Android TV. • Android TV is the best pick when comes to smart TVs. Both Android and smart TV are smart, but Android is more comfortable when compared to the smart TV. • Smart TV has many built-in apps that can connect to the internet. Users can avail everything in one smart TV package. The smart TV needs only one remote control. • Android TV can turn any TV into the smart television. It is low in cost when compared to the smart TV. It had large app library. • Smart TV costs more compared to the Android TV. It has insufficient applications compared with the Android TV. • Android TV needs another setup box, and users need to know the Android interface. The new updates might not support with all smart TVs, but the Android TV can support the updates with ease without any errors. YouTube video app can be downloaded on the Android TV from the Google app store. You can select from the video list to play on the big screen. Android TV allows you to access the vast media library of YouTube on the big screen. You can simply search by typing the content using the remote keyboard and enjoy watching the YouTube content on the big screen. Finally, Android TV is smartest TV in this new technology generation. Android TV is the best way to get connected with your applications and the cheapest way to access the wide range of content on your big screen. How to Build a Video Landing Page from Scratch?